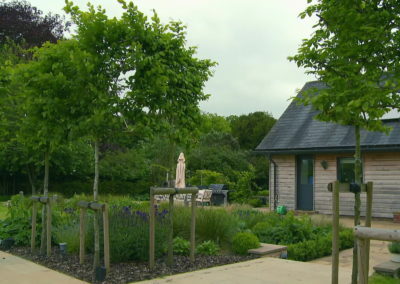 This garden is for a family living in a rural location. 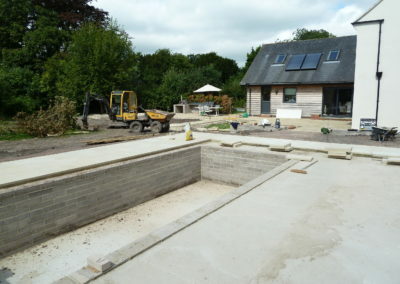 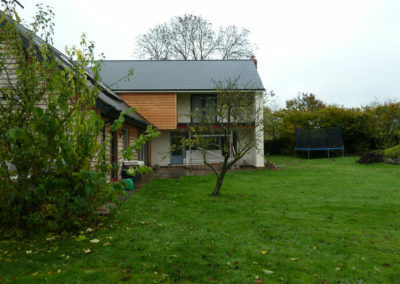 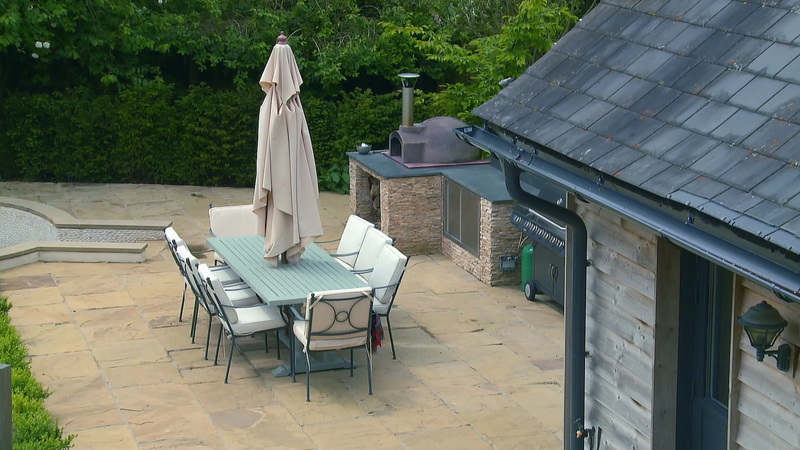 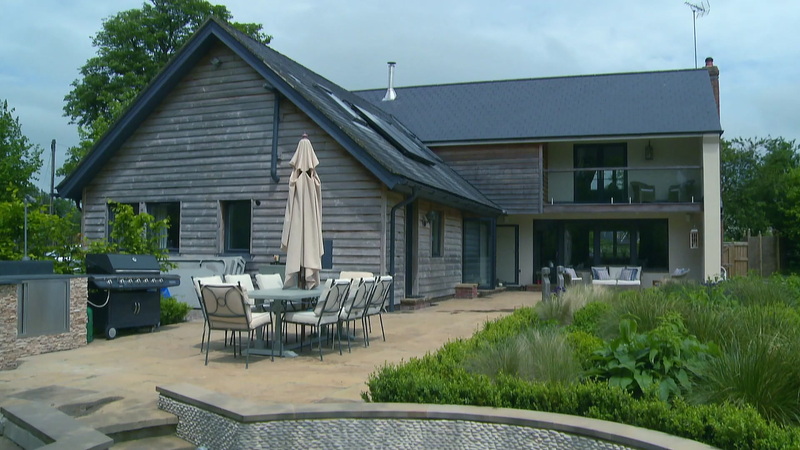 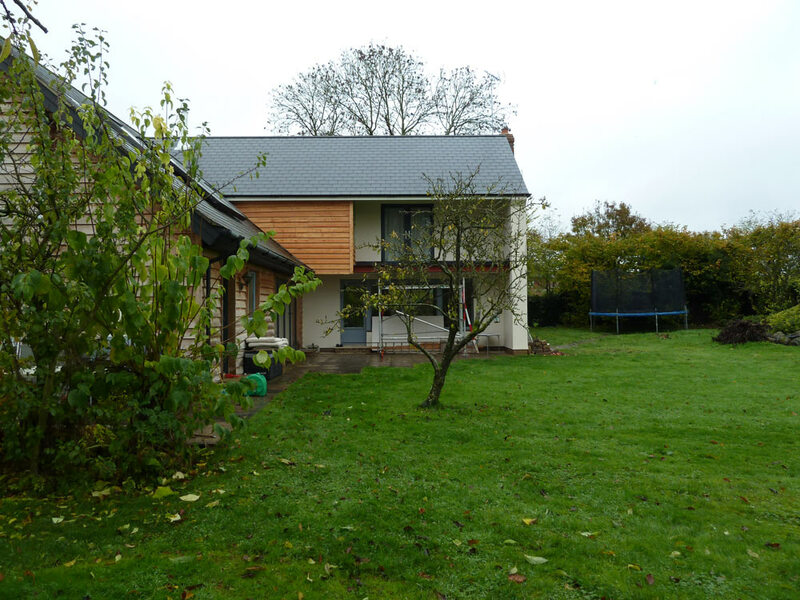 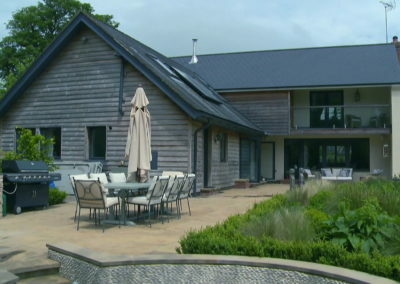 A complete re-design of the areas surrounding the house and stable outbuilding was required. 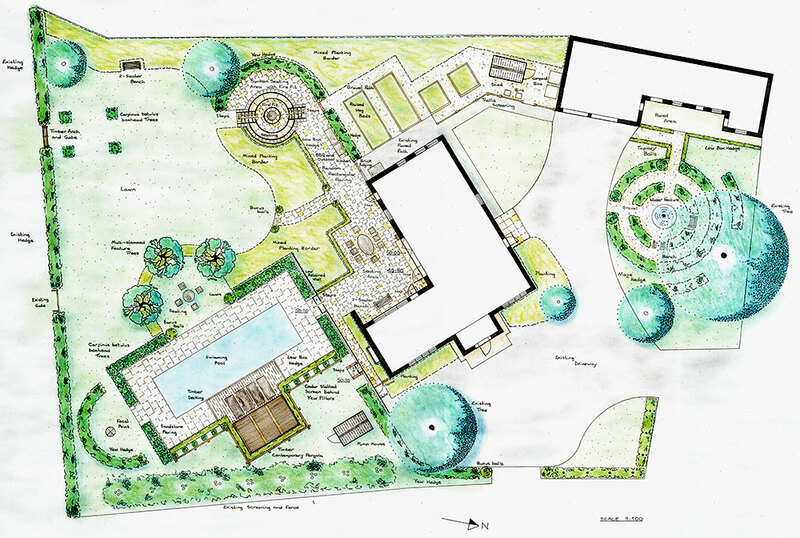 The family wanted space for a large swimming pool, several seating areas, a sunken garden, an area with raised vegetable beds, and a patio area for entertaining along with a reasonably sized lawn. 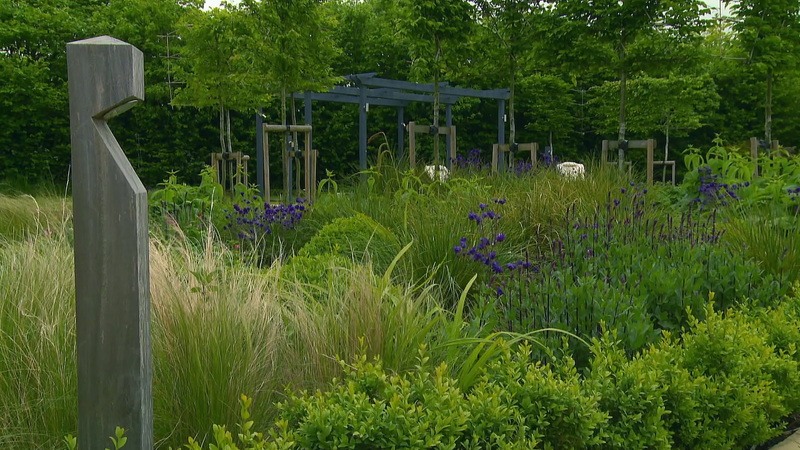 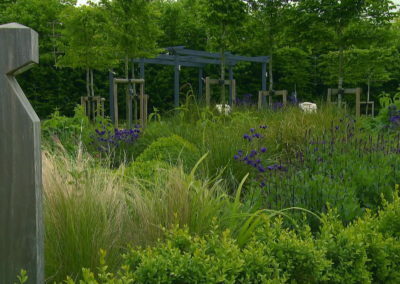 The style was to be contemporary with clean lines and planting that required minimal maintenance. 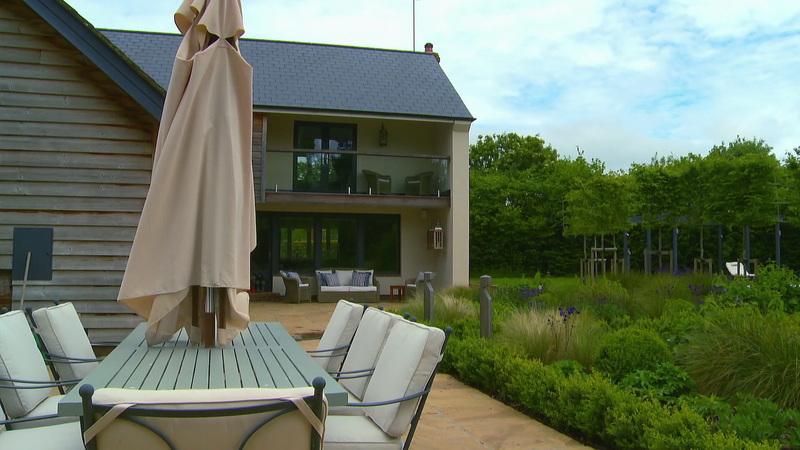 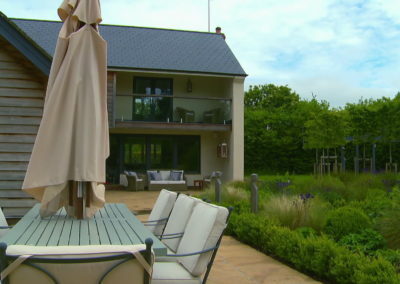 The style of the garden is a mixture of informal and formal, blending the contemporary swimming pool and main entertaining areas with the rural landscape beyond. 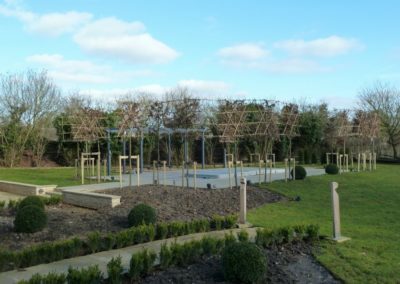 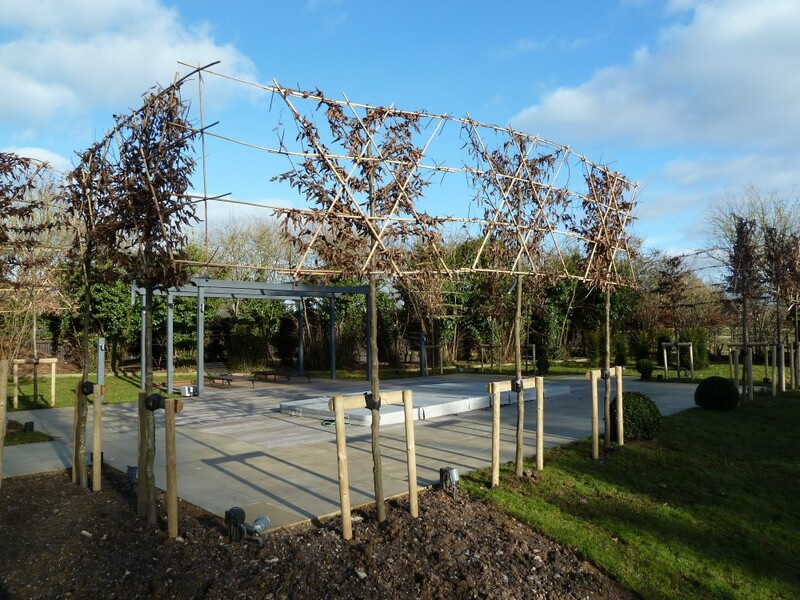 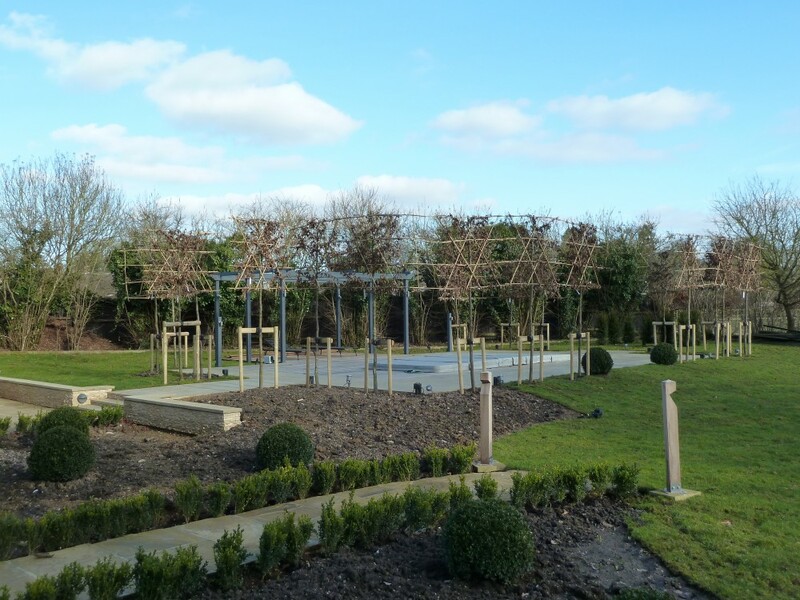 Clipped topiary in the form of box head hornbeam, yew columns and buxus sempervirens balls work well with the contemporary paving, cedar slotted timber fence panels, timber decking and pergola which form part of the swimming pool area. A large irregular shaped lawn includes four box head hornbeam specimens which frame a rustic arch and gate leading to the orchard beyond. 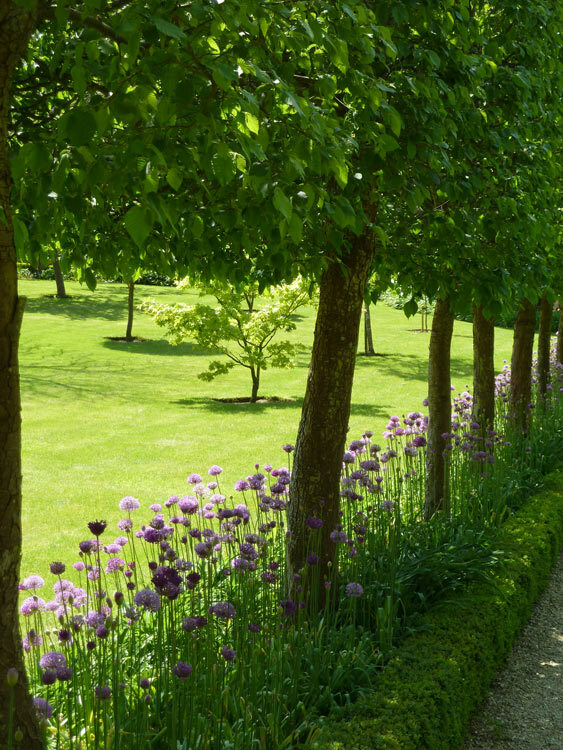 The hornbeams provide a link with the more formal areas closer to the house. 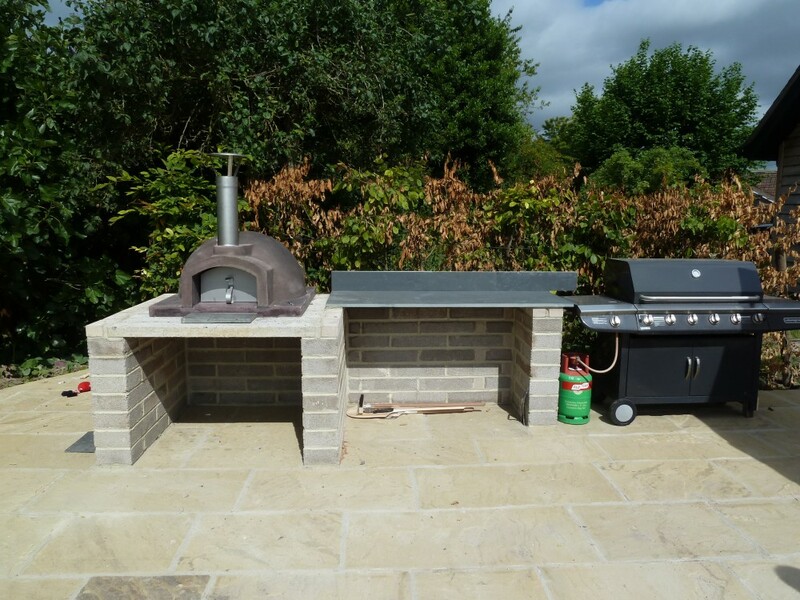 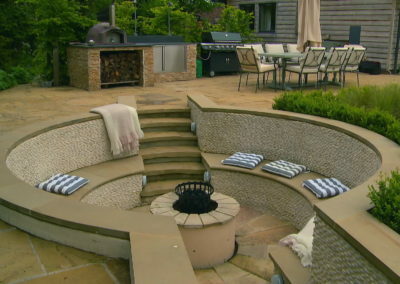 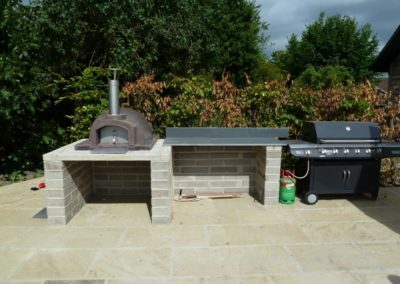 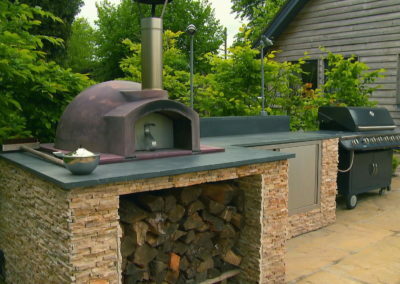 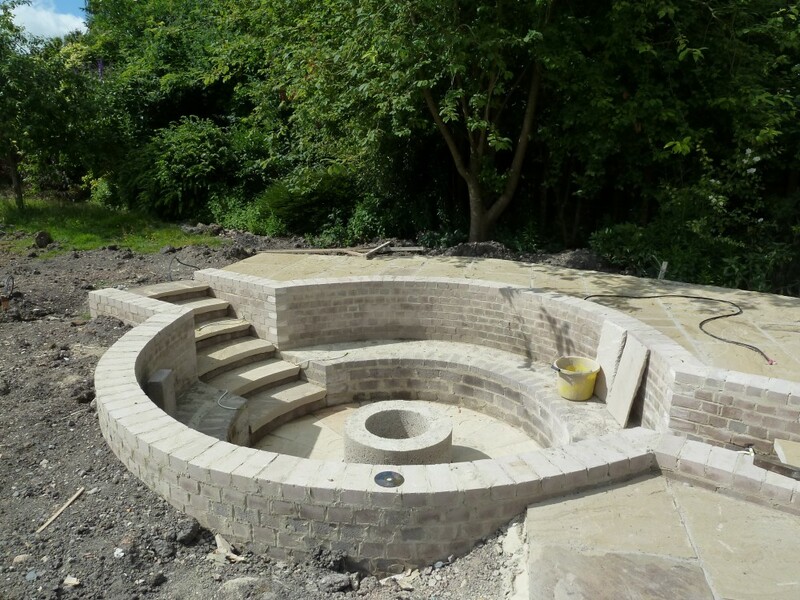 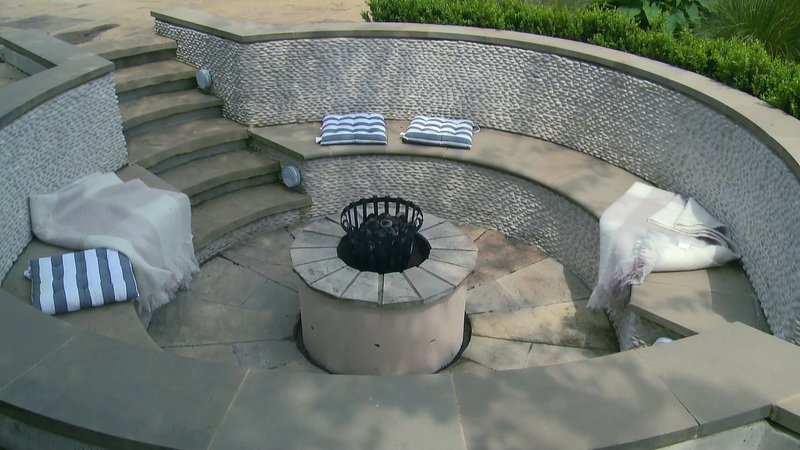 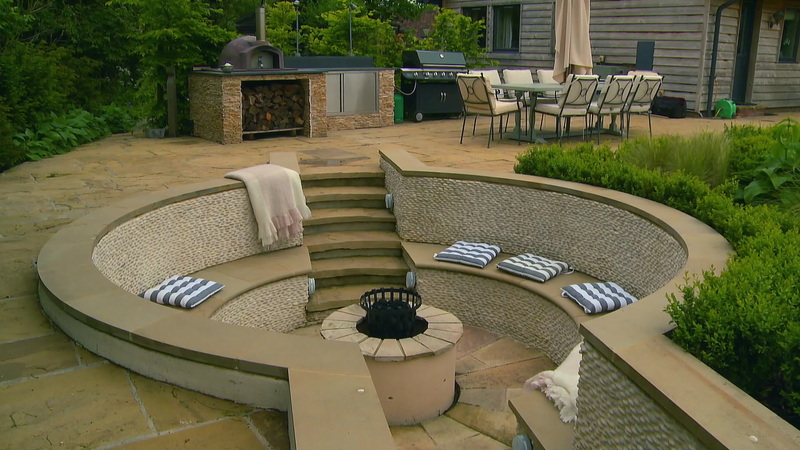 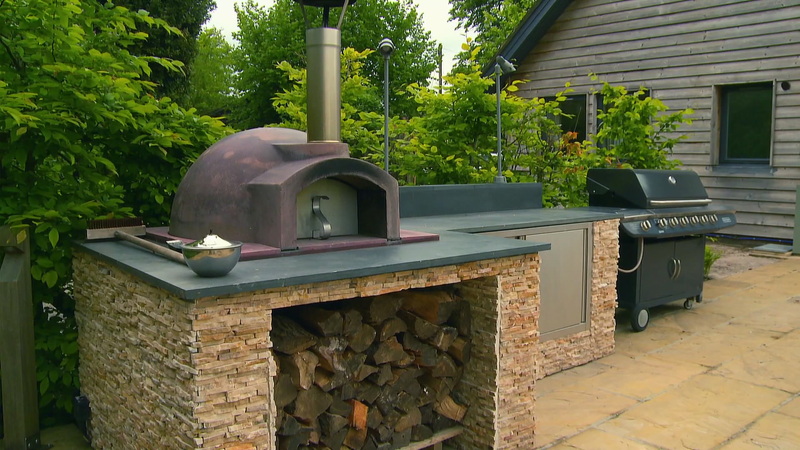 A circular sunken area comprised of rustic slate walls capped with natural stone contains a fire pit and seating, adjacent to this is space for an outdoor kitchen and bbq. 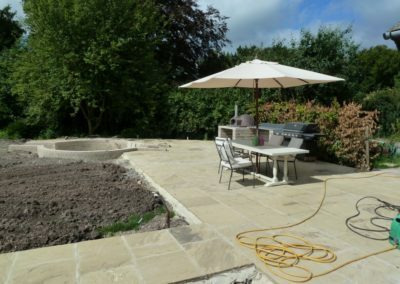 A paved area with room for a large table and chairs situated immediately outside the kitchen completes this substantial entertainment space, thus extending the use of the garden well into the evening. 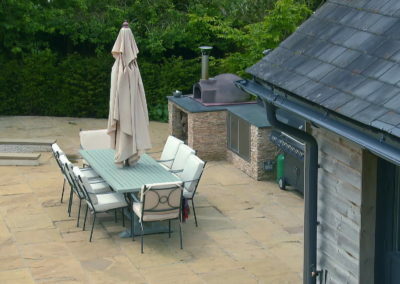 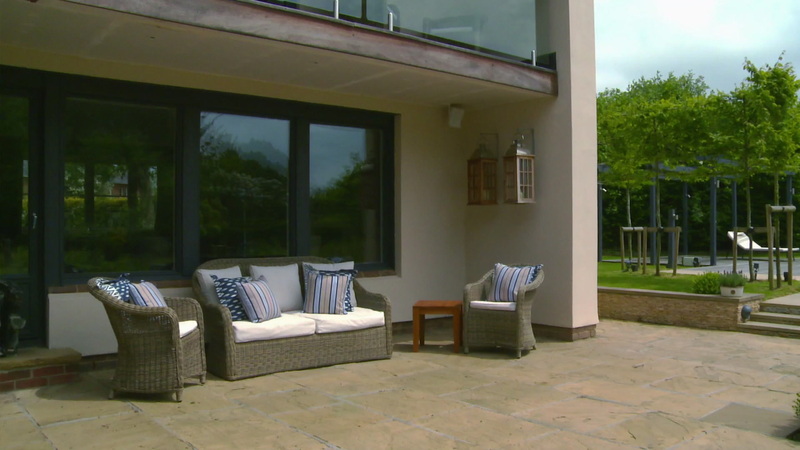 Looking for a beautiful outside space designed just for you? 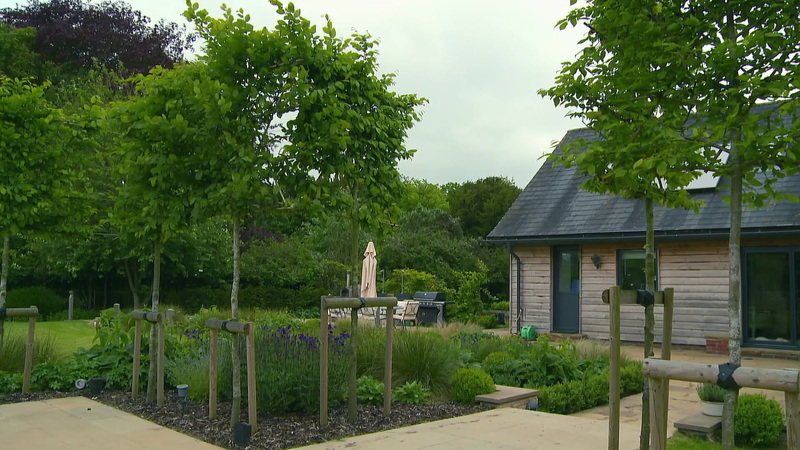 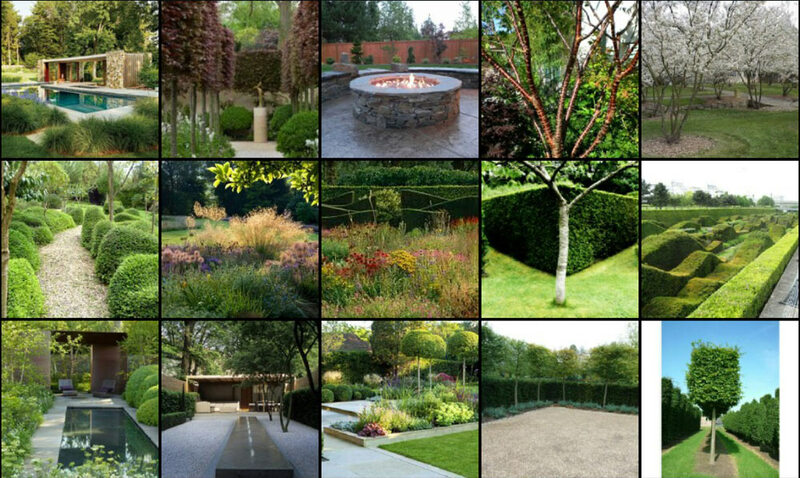 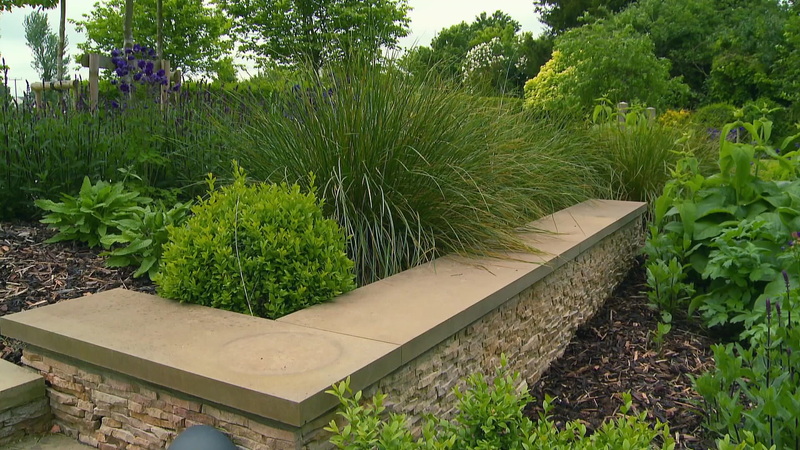 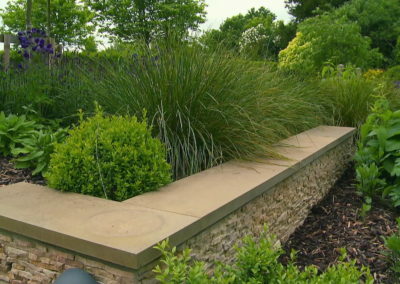 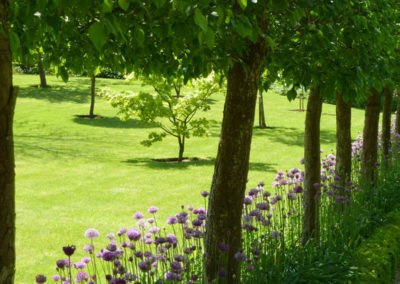 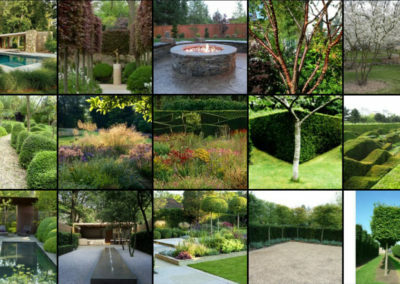 We create inspirational gardens which are both beautiful and functional. 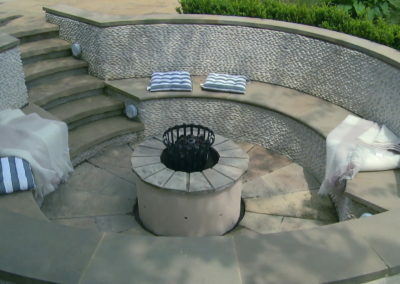 Outside spaces that reflect who you are and what you love, that will add value to your home and bring years of enjoyment.